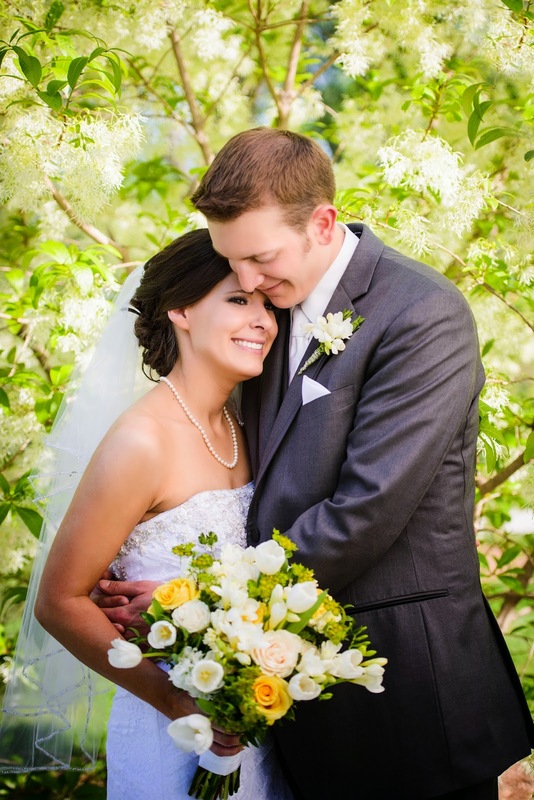 Katherine and Rob’s wedding back in May reminds us that spring and bright, warm weather will be back! 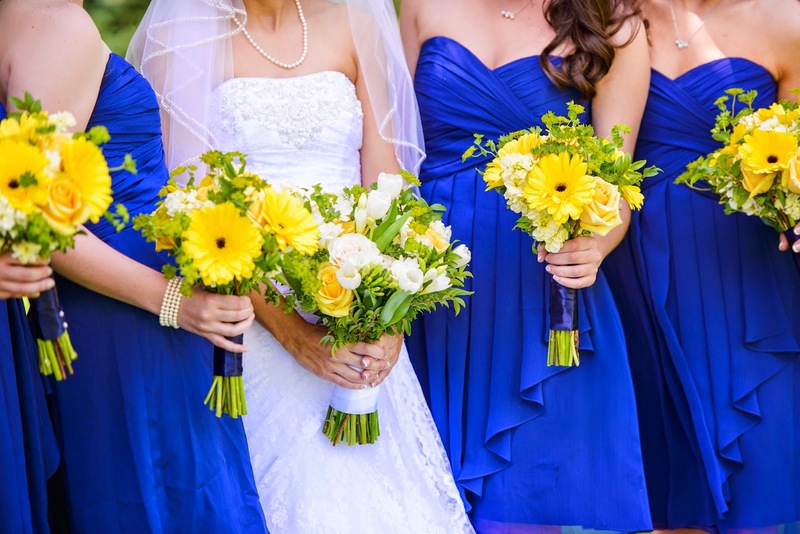 Their monochromatic yellows were soft-textured with some bold pops of color. Images by Kelly Pratt Photography. 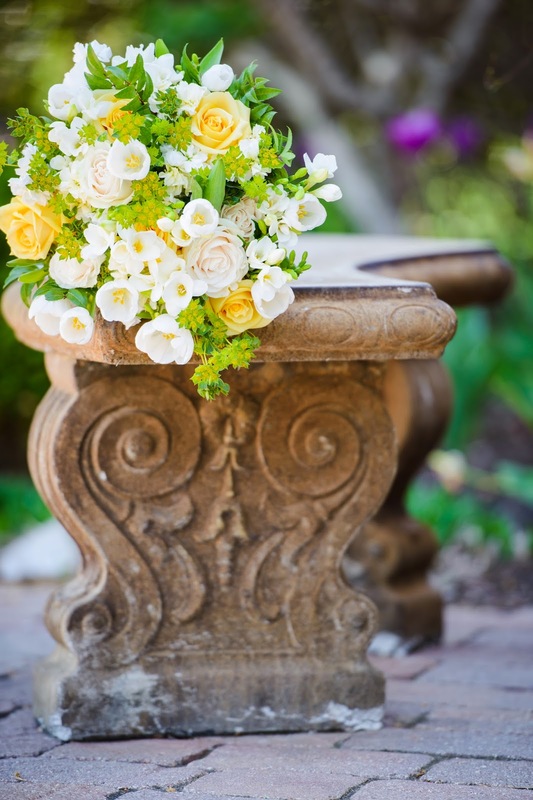 Katherine’s bouquet was a mix of deep ivory, butter yellow, and bright yellow. 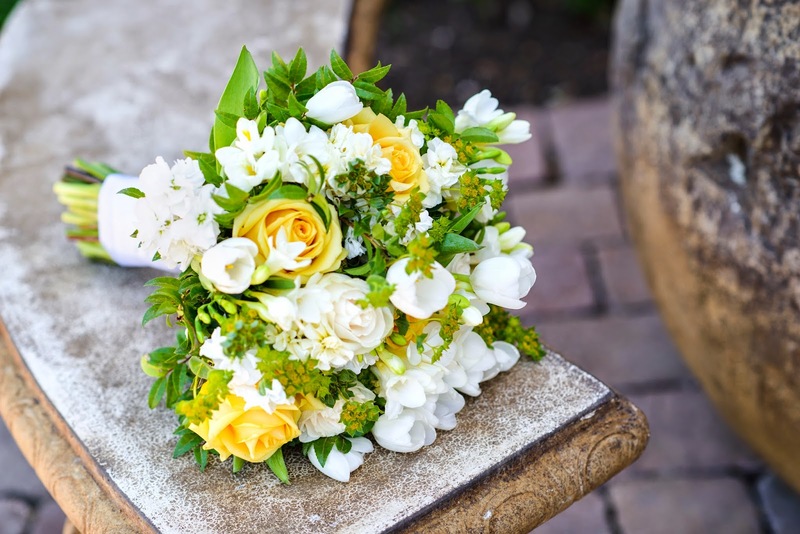 Many textured blooms and greenery brought lots of interest and softness to her bouquet. 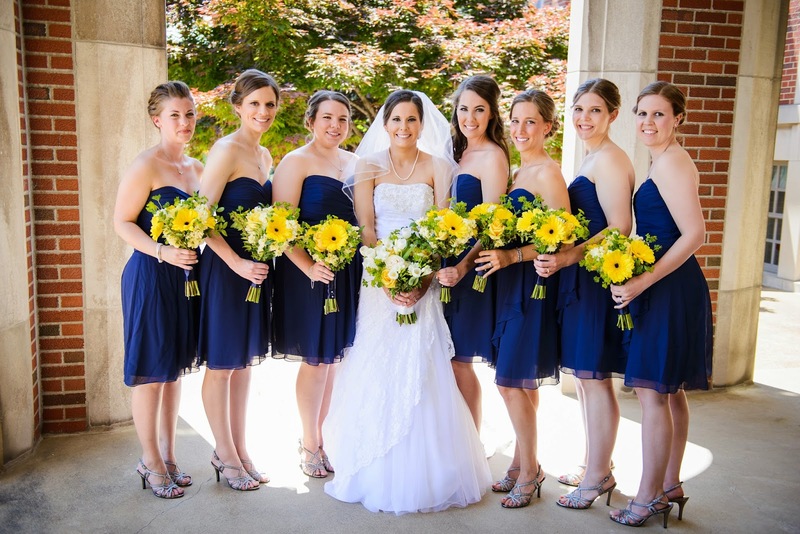 The maids carried monochromatic yellow bouquets. 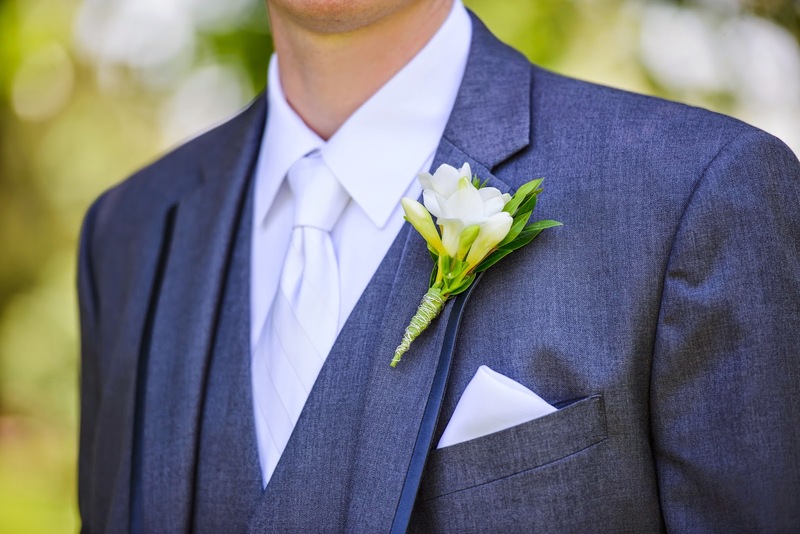 Rob’s boutonniere was a white freesia bloom. 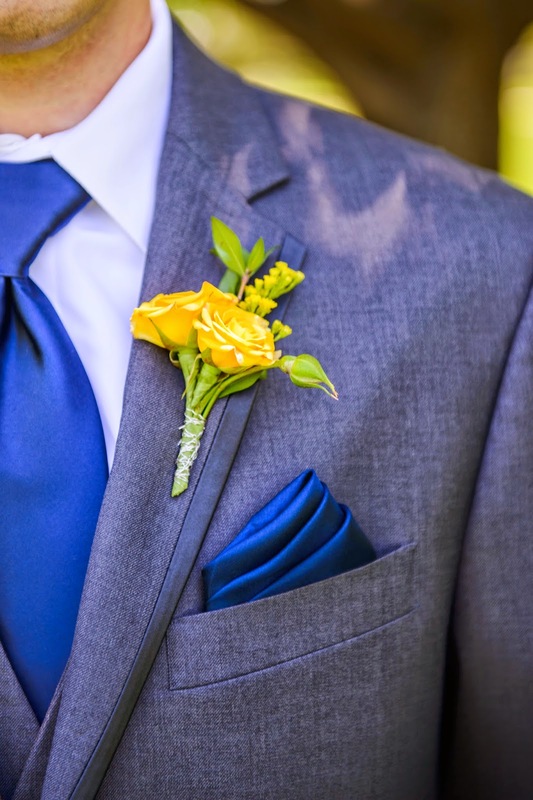 The other men wore bright yellow spray roses. 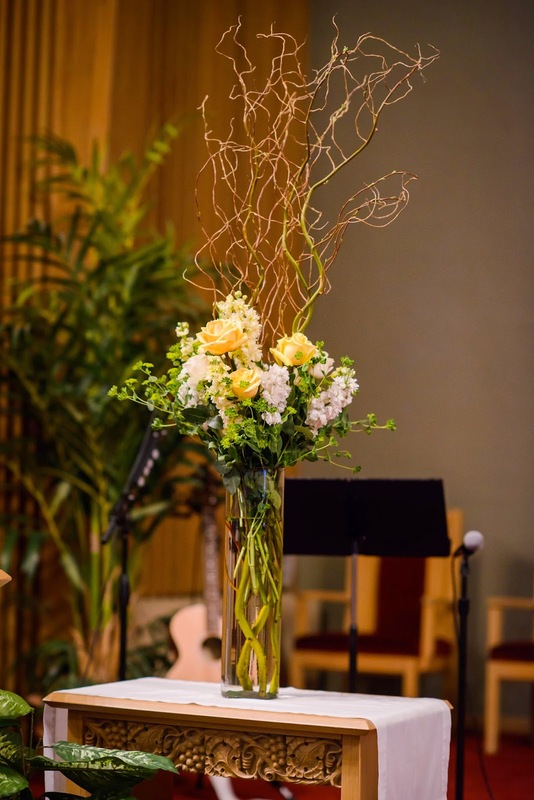 Tall pieces for the church altar included curly willow branches for some height and dimension. 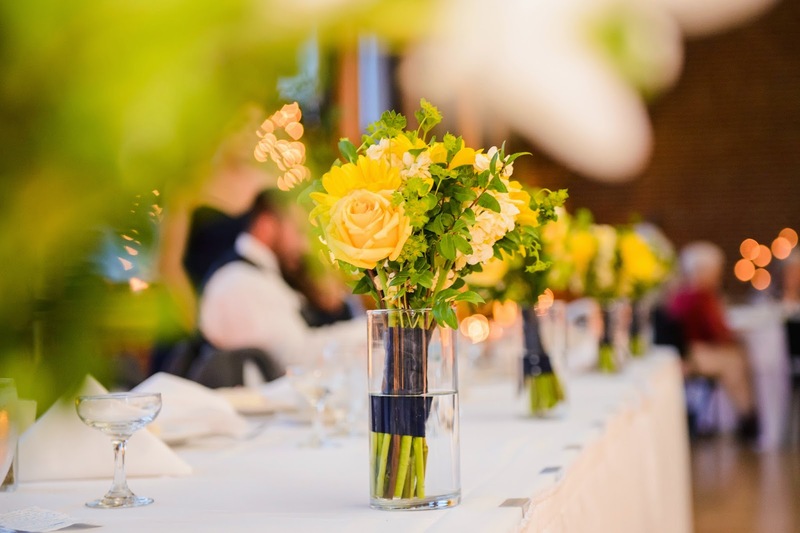 Maids’ bouquets reused at the headtable. Best wishes to Katherine and Rob and their families! It was a pleasure working with you! 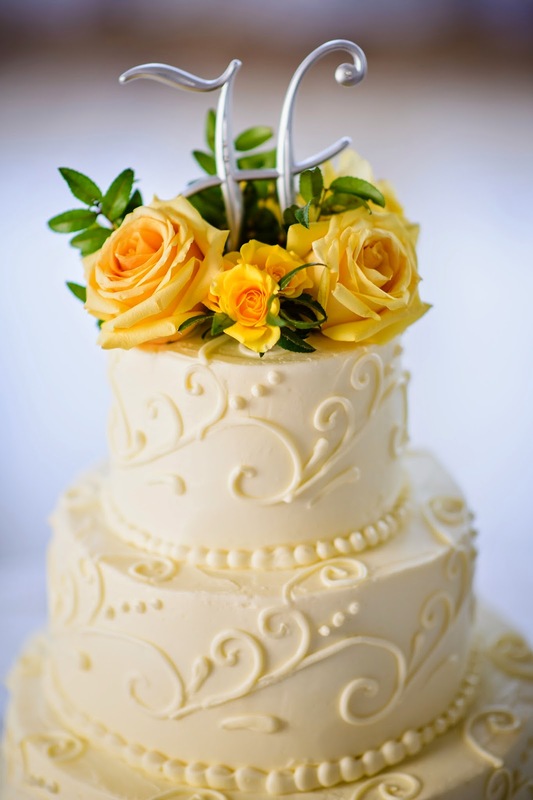 We can’t wait to help you with your sister’s wedding next year!